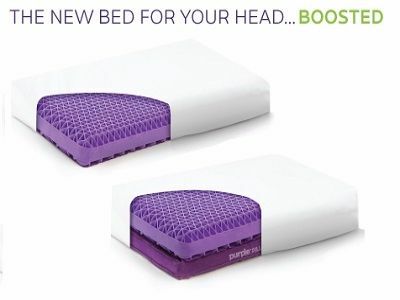 Purple pillow is made of patented Hyper-Elastic Polymer™ organized in hundreds of little triangles. Unlike most pillows which are made up of lumpy foam, stabby feathers,and melty memory form. Purple® Pillow does not go flat or lose shape as the triangles, give the core of the pillow strength so it retains is comfort all along.